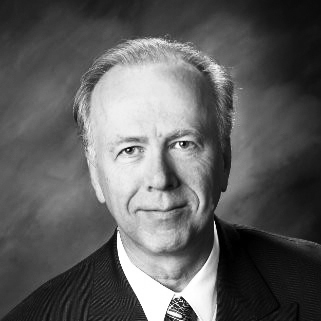 Since acquiring his securities licenses in 1980, Tracy worked in the financial services industry. He gained a broad array of knowledge in financial and estate planning, including understanding a multitude of retirement plans that are used throughout the investment industry. Tracy has held a number of management positions and has had the opportunity to develop and manage a number of financial services representatives. As a Vice President at South Valley Bank & Trust, he created and opened the Financial Services and Trust departments and assisted in the bank in managing its investment portfolios. Tracy’s area of expertise focuses on assisting clients on utilizing non-traditional assets with their retirement funds and helping investors with other traditional brokerage services. He has a sound base of understanding regarding estate, business, and tax planning for high net worth individuals and business owners. Tracy is a native Oregonian and resides in Klamath Falls with his wife Jan. He and his wife have four grown children, Edward, Theodore, Kevin & Kelly. He has countless years of volunteerism within his community and likes working with good people that do good things for their communities. He and his wife are avid bowlers and established and directed the Klamath Falls High School Bowling program. He has given countless hours to coaching youth bowlers and was involved in other youth sports. He enjoys spending time with his family, camping, fishing, bowling and golfing.